This morning local Lib Dem Cllrs and residents of Halcyon Rd and Kingsteignton Rd worked up a sweat tackling the appalling state of the over grown pavement and crossing points in the street. 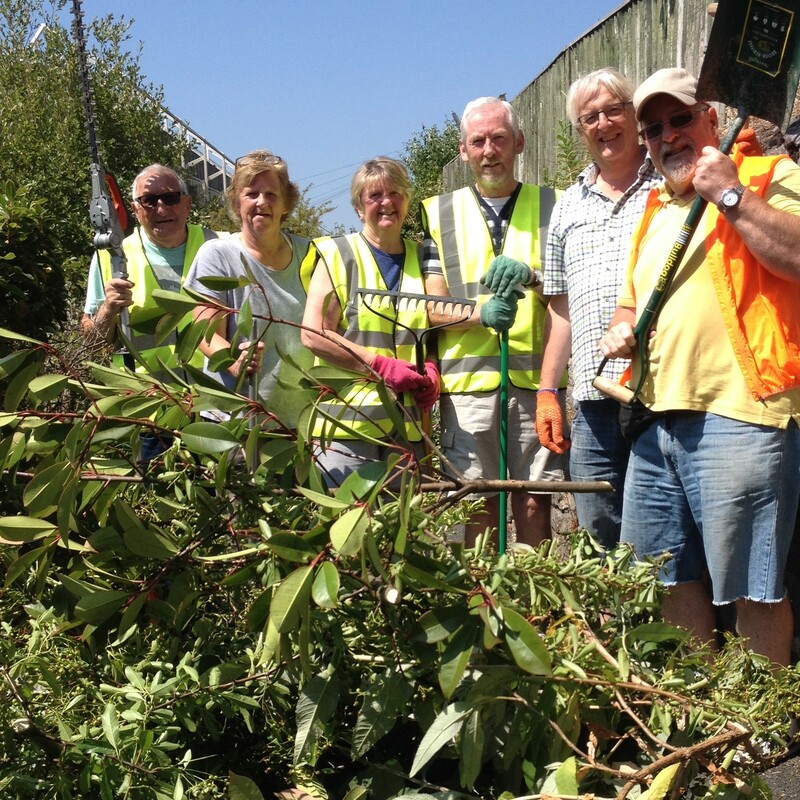 Cllrs Rob Hayes, Mike Joyce, Richard Jenks and myself , plus Sue, Colin and Sarah, who live locally did our best in the heat to cut back as much as we could and hopefully left the stretch of pavement looking much better. Devon County Council have refused on an ongoing basis to cut back this vegetation claiming it didn’t fulfil their “safety defect” criteria. 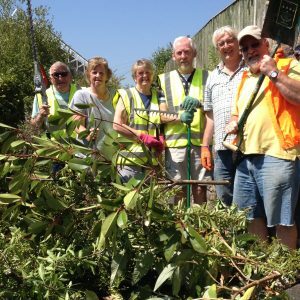 In the face of this continual refusal by Conservative run DCC t o tackle the town’s areas of overgrown vegetation and verges, Cllrs Jackie and Gordon Hook applied to the DCC Community Enhancement Fund , and were awarded £2500 to spend on tools to enable the community to tackle these issues. This is what we have being doing, but the tasks to be tackled are many and our time limited. The really crazy part of all this is that we can’t easily get rid of the vegetation we cut back. DCC would charge us as a commercial tipper if we took the waste to the tip. So we get penalised as a voluntary group for cutting back the vegetation from their land that they should be accepting responsibility for in the first place!! So not only do we get out and do the work for Devon County Council, but if they had their way they would charge us to dispose of their waste. Utterly bonkers!! Whilst I was pleased with what we were able to achieve this morning, I am still disappointed that we weren’t able to tackle overgrown vegetation on the road side which is blocking visibility at the crossing points for pedestrians. It clearly wouldn’t be safe for us to work as volunteers in such a busy road. However, I have recently heard that DCC will at least take a look at these crossing points and cut back vegetation that is restricting visibility. I hope they get on and do it soon before someone is injured. This is after all a main walking route to and from the secondary schools. If you would like to be kept informed of future tidy up events, then please get in touch with me.